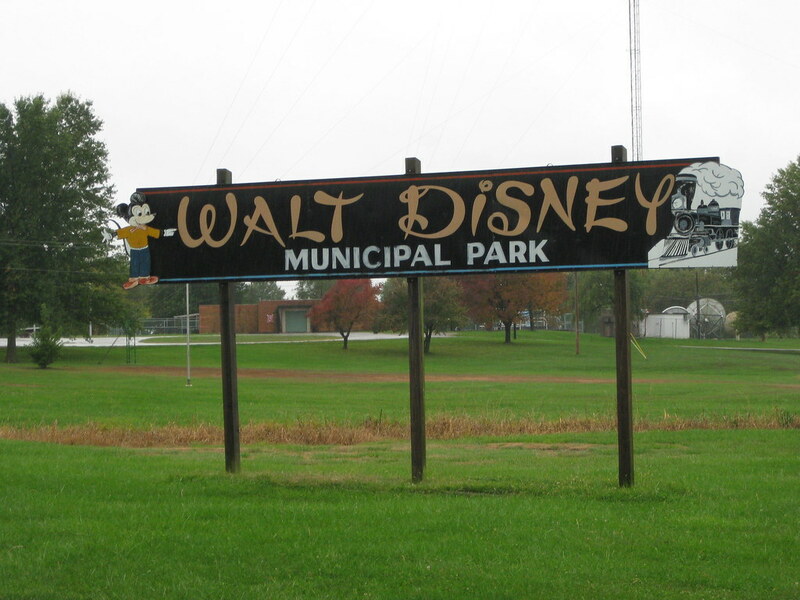 When I visited Marceline I thought I knew of all the Walt Disney landmarks scattered around town, but I was wrong. When the Midget Autopia closed in Disneyland Walt had the entire ride shipped to Marceline. Unfortunately Walt and Roy were not able to make it to the dedication ceremony so the attraction was opened by Marceline's Mayor. Sadly because of the constant maintenance needed for the little cars the attraction did not last very long in Marceline, but if you think they tore the track down then you've got another thing coming. The track is still there and so is the queue. (They just threw some tables under it and made it into a picnic area). 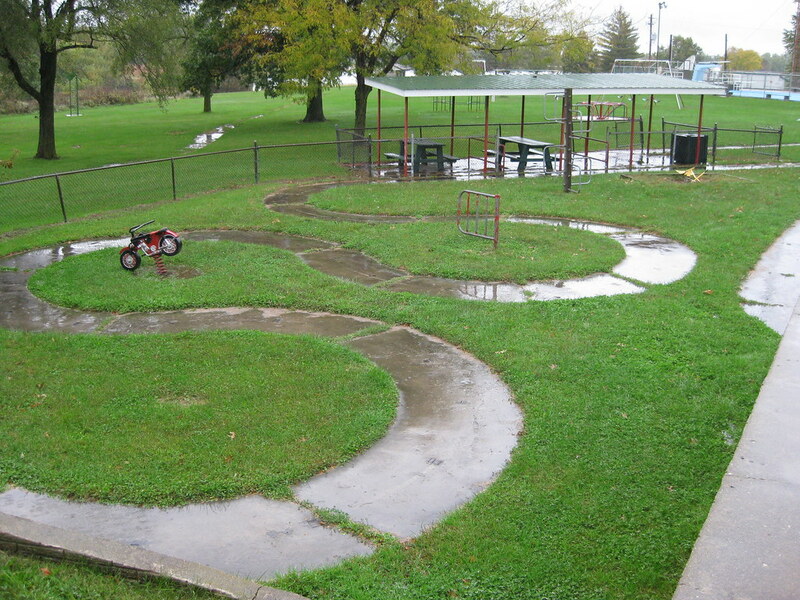 It was raining pretty heavily but that didn't stop me from doing a few laps and taking some pictures. 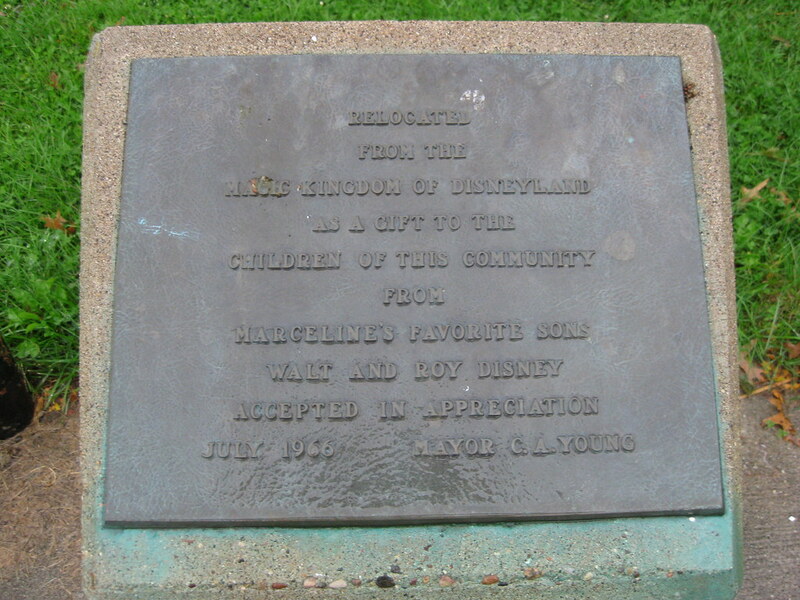 In the back right of the above picture you can see the swimming pool that Walt dedicated to the town.